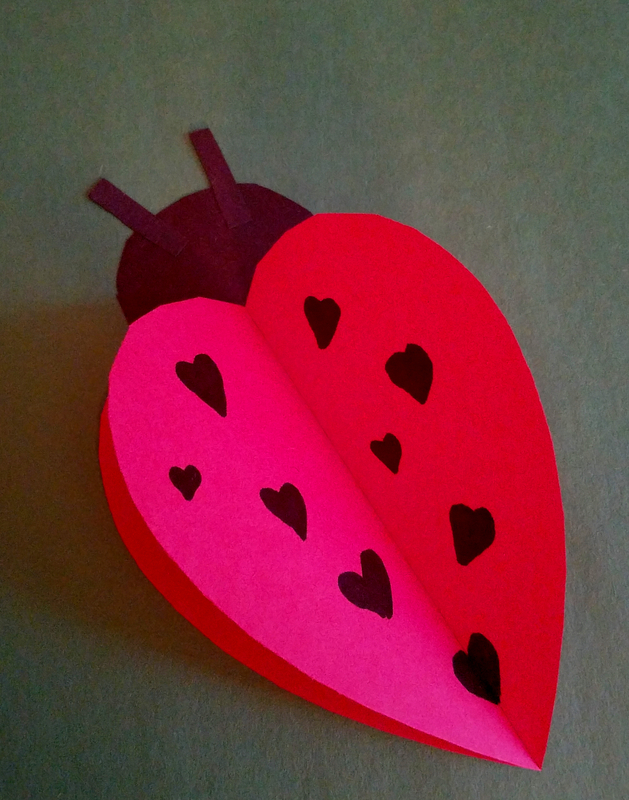 Students will create heart-shaped ladybugs for Valentine's Day. 1. Fold 3 sheets of red paper in half. Draw a half-heart shape along the folded edge of the paper. Cut the hearts out. Make sure all 3 hearts are around the same size. 2. To make the body of the ladybug, unfold one of the hearts and lay it flat. Next take the two hearts (still folded) and glue each down to one half of the unfolded heart, making sure the two folds touch in the center. 3. For the head, cut a circle out of black paper and glue half of it to the back of the heart. Cut two small pieces for antennas and glue them to the head. 4. 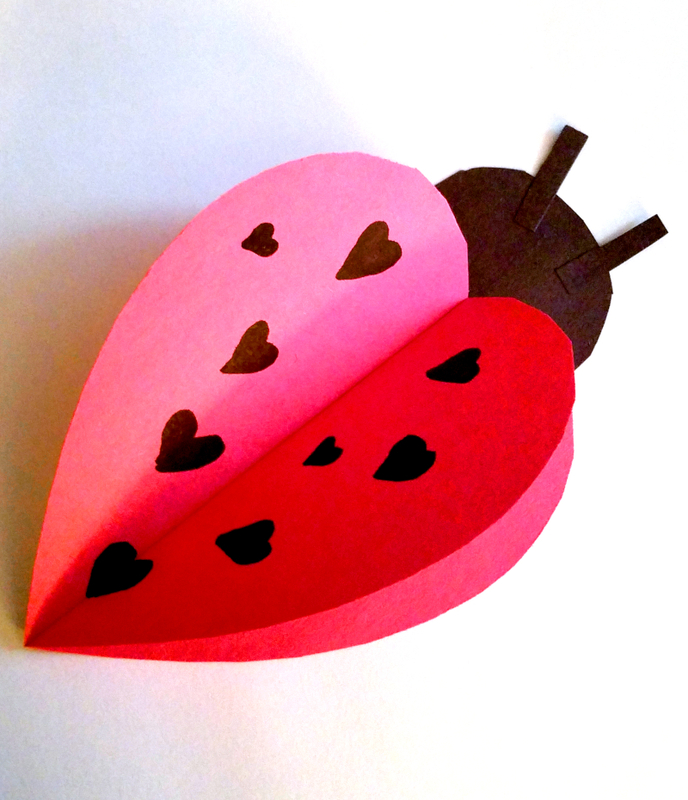 For the spots use the black paper scraps to cut out small hearts and glue them to the top of the ladybug's body. Students can write messages for their valentine on the insides of the folds.